Yay! On the 13th of March, the day after tomorrow, swedes will finally be able to purchase yet another swedish Whisky at the state monopoly ’systembolaget’ (through a web-release)! 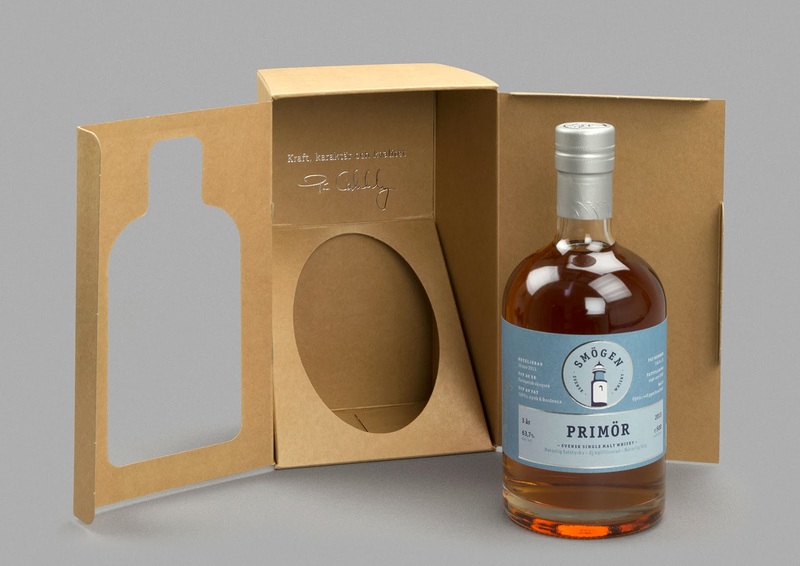 Smögen Whisky, founded in 2009 and located on the west-coast of Sweden, is launching their first whisky which is a three year old composition of nine casks made out of european oak. One of the casks was a 225 litre ’Barrique’ that previously held Bourdeaux-wine, the remaining eight casks were new charred 110 litres casks so this should be interestin. The barley is peated to 45ppm. The batch resulted in 2188 bottles out of which 1600 goes to the state monopoly. 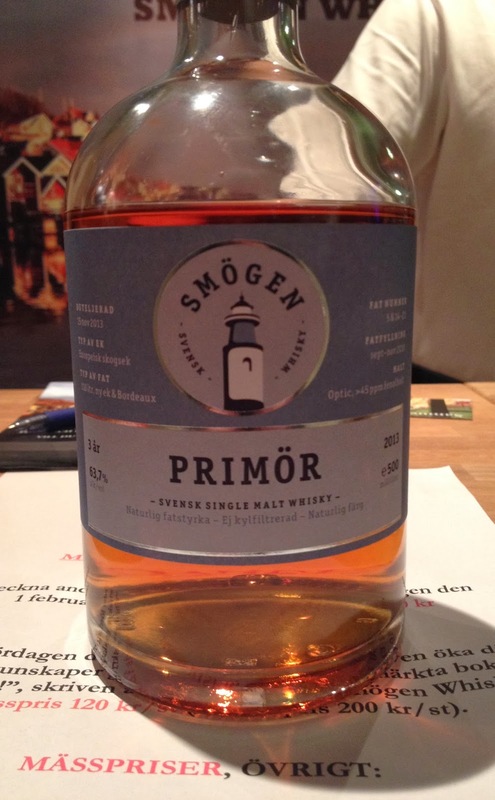 I am very grateful to Pär Caldenby, the owner and master distiller of Smögen, who very generously shared a sample, during this years Linköping Whisky Expo. Thank you Pär! 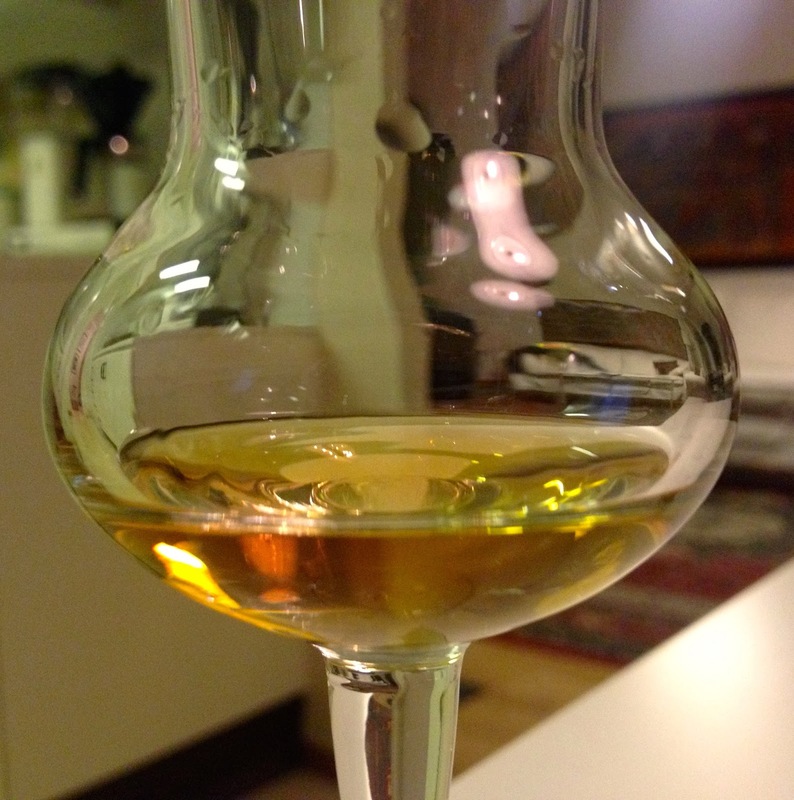 With just a little bit of water, maybe 10 small drops into the same amount of whisky that’s in the picture of the glass, the whisky really settles down on the high strength, everything get’s reaaaaaally smooth and very malty. Now we have an almost biscuit-y (digestive crackers) and buttery nose. Some really nice fudge coming through. The peat also calms down of course but at the same time it developed into a quite sweet, almost brownsugar-y and almond-y peat. Returning to the glass with no water added, let’s have a taste. Oooh! This is great, for sure. It starts of on a very sort of salty peat. The strength actually isn’t too much (or is this a warning sign?). Of course you can almost feel the whisky evaporate from the tounge up your mouth but still, it’s very beautiful at this strength. There is lot’s of different fruit-y-ness, the main stuff is sultana raisins, something reminding me of baked or dried apples, but also moving over into sun-warm red grapes. This fruit-y-ness is complemented by a hint of poitin-spirit. Everything get’s quite dry after 4-5 seconds and the dominant aftertaste definitely is that brownsugar-y peat. Very nice! 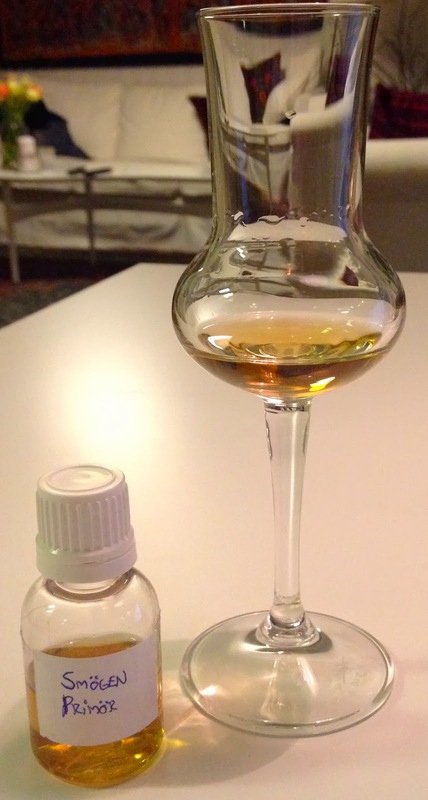 Well, let’s send a big congratulations to Pär for his very exciting and interesting whisky. I’d say that all in all this is a very mature 3 year old! Well done and Slainthé! 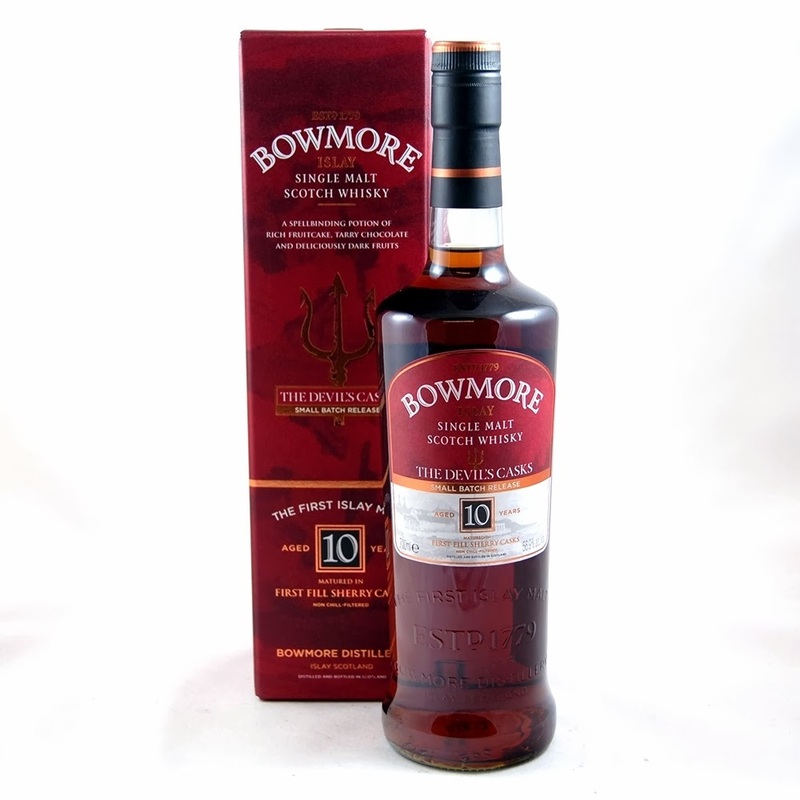 Bowmore 10yo 'Devils Cask' 56,9% ABV! Hey folks! Finally the time has come for me to try the well received and much hyped (?) 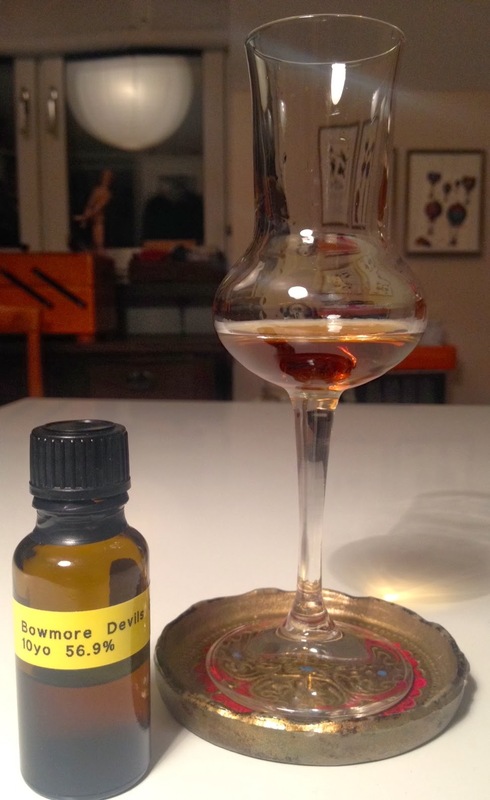 small batch release Bowmore Devils Cask! I've longed for this moment for quite some time know, the sample has been in my sample-stash for more than a month but there has been some other whiskies to try that have gotten in the way and I simply did not want to rush it with this one since I've heard it's a beauty. A big thanks to Håkan for being very generous and just sending me a sample for free! Thanks! Okay, as far as I've heard this has been entirely matured in first fill sherry casks for ten whole years and then bottled at cask strength. Whether it's european oak or american oak I don't really know. What I do know is that this whisky has been giving of wonderful scents ever since I poured a dram in the glass to shoot the photos. Let me tell you, absolutely wonderful things on the nose here! Isn't that a beautiful color?! Anyway, this was a very interesting experience and as I've said some times before, the balance or interplay between the sherry and the peat is just great, and I'd actually say that the main focus here is brutal sherry-influence and then comes the peat. Slainthé and see you soon! P.S please like my FB-page for SamuelWhisky here! Please follow SamuelWhisky in social media! 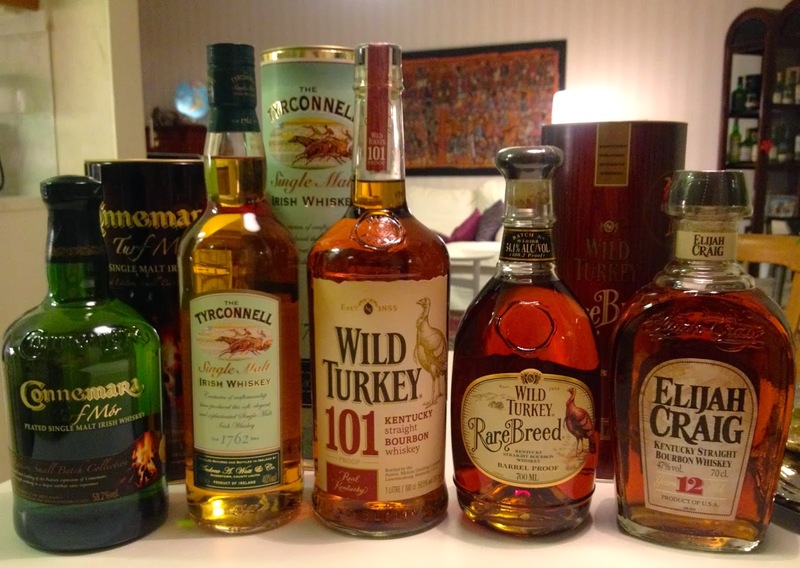 Please like the FB-page for SamuelWhisky here (and follow the twitter-page here)! Slainthé and big thanks for being a part of SamuelWhisky!